The Large Self is that part of us that is always connected to the Universal Intelligence. When we shift our focus from the perspective of the small self – that limited view that we are separate and alone – to the perspective of the Large Self, we realize that we are magnificent and powerful creators. I chose the name “The Large Self” for this blog because it constantly reminds me of the many seeming miracles that occur daily in my life and work. My name is Cathy Ulrich and I’ve been a healer for almost 30 years. My formal education includes a Bachelor of Science in Industrial Design, a Bachelor of Science in Physical Therapy, Certified Advanced Rolfer and a Doctor of Physical Therapy (but you don’t have to call me Doctor, nobody does). I am one of those people who has had the good fortune to have discovered what I loved doing earlier in life and to get to do it for a long time. Along the way of working in various P.T. settings, taking a whole bunch of courses and treating thousands of people, I’ve gotten to be pretty good at what I do. I have been curious about energy and energy healing since very early in my career. In the late 80s an Orthodox Jewish Rabbi named Michael Andron came into my life as my teacher. He was (and probably still is) a very eclectic person – he was a Moyle (did ceremonial circumcisions), ran a children’s theater, a Jewish Karate school and taught a form of energy healing that came from his explorations in Karate which used the Kabbala as its basis for mysticism. It was a new and strange world for me – having grown up in the Deep South as a Southern Baptist! Anyway, I found that I was pretty good at energy healing and I enjoyed Michael’s classes (almost three years of them) because he taught not only the techniques but the science of energy healing. I did Michael’s form of energy work called “Biobalance” off and on for several years as part of my P.T. practice, but gradually stopped doing it as I focused more on my Myofascial Release and Craniosacral Therapy tools. Then I became a Rolfer in 1995 and have done mostly that in my private practice since. In early 2010, I attended a 5-day Silent Retreat with Lola Jones. As part of our experience there, Lola activated us to her special form of physical energy healing. It brought me back to an awareness of how powerful energy healing can be and especially how powerful these Healing Frequencies are. When I started using thems in my practice, I saw some amazing changes in my patients – shifts in cranial lesions that I wasn’t able to change with my tried and true craniosacral techniques, elimination of sinus infections, improved mobility and pain reduction in arthritic joints and even emotional shifts as a result of the energy work. It definitely got my attention! Fast forward to now: I have developed a unique Energy Healing method that embraces my manual therapy skills, intuition and years of training that I now simply call Energy Healing and I have created an online, self-paced course to teach others how to do it. (See The Energy Healing Course on this site). While many people just accept energy healing as something that feels good, I like to explore the theories that can support my understanding of how it works. My own curious mind is more accepting of these miraculous changes that I see if I can somehow explain them. So this blog is an exploration of the miracles, mysteries and scientific theories of energy healing as well as just fun posts about my life and adventures. I’d love to have an ongoing dialogue with you, my reader. Please let me know what you’re thinking and if there are any topics that you’d like to read about and let’s have some fun! Below is my more formal bio, if you want to know more. Cathy Ulrich began her healing career in 1984 when she graduated from Florida International University as a physical therapist and worked in a traditional medical hospital in Miami, Florida. After working in acute care, she specialized in Orthopedic Physical Therapy and Sportsmedicine and practiced first in a physical therapist owned Sportsmedicine Clinic and later in her own clinic. During these early years Cathy studied Myofascial Release and Craniosacral Therapy and distinguished herself as a highly skilled manual physical therapist. She studied energy therapies for three years with Rabbi Michael Andron and in 1995, she completed her certification as a Rolfer® and Rolfing® Movement Practitioner followed by completion of her training as a Certified Advanced Rolfer® in 1999. She also trained in Visceral Manipulation with French Osteopath Didier Pratt. Cathy received her Doctor of Physical Therapy degree from A.T. Still University in 2009. Cathy is a professional writer with numerous nationally published articles in the Associated Bodywork and Massage Professionals group of publications including Massage & Bodywork Magazine, BodySense Magazine and ABMP’s Online Newsletter Program. She also has written for Advance for Physical Therapists and Physical Therapy Assistants and she has presented at scientific meetings of the North American Association of Laser Therapy (NAALT). She has served as an Assistant Instructor for Advanced Rolfing Training at the Rolf Institute of Structural Integration and she has created and taught many continuing education courses for physical therapists in the areas of myofascial release and low level laser therapy. 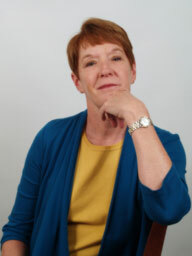 Cathy maintains a full time practice as a Rolfer®, and Physical Therapist in Fort Collins, Colorado. She participated in the 5-Day Silent Intensive with Lola Jones in January, 2010 and when she returned from the 5-Day, she quickly discovered the powerful nature of the Healing Frequencies that she received from Lola. She offers sessions by phone or Skype, where she works holographically with clients from around the world. I’m really excited to follow your blog! Thanks, Julie! I’m excited to have you here and excited to follow your blog. I think we have a lot in common and a lot to share! Thank you, Julie. I love it! Thank you for following my blog — I’m looking forward to reading more of your work! Thank you! I love your blog. History has always been fascinating. I absolutely love your perspective! Hi Kathy, thanks for signing up to follow my blog. Some interesting stuff on yours. will try to take a closer look later. I tend to churn out posts so much I don’t get much time for reading others. cheers. Thanks for checking in, Barb. Gina, Thank you so much! I’m deeply touched and will participate. Hugs to you! I’ve nominated you for awards, check out my recent post and enjoy. Thank you so much, Jennifer. And thanks for following! Your work sounds fascinating, Cathy. I’d like to try your online self-paced course. I used to live in Fort Collins! That’s a great place to be. My husband went to school at Colorado State. I look forward to following your blog! Thank you so much, Amy! If you decide to try the course at some point let me know before you do. I’m working on some new and exciting improvements for it…Very cool that you used to live in Fort Collins. I love it here and CSU is a great school. And thanks for the follow. I had a chance to check out your blog and I look forward to following you, too! Hi Cathy! I nominated your blog for the Liebster Award. 🙂 http://thejolynproject.com/2012/12/18/give-the-gifts-that-keep-on-giving-awards/ Thanks for spreading your positive energy through your blog. Thank you, Jolyn! I love your blog and your positive energy, too! Thank you, Save in Drafts. I will check it out! Wow- Cathy! You have an amazing story.I love the meaning of Large Self. I’ve never experienced Rolfing – but I’ve always loved massage, acupuncture, acupressure and I’ve had some experience with Reiki (via my Uncle). I’m always interested and curious about how we heal our bodies. Thanks for taking a look! Rolfing is amazing – works especially well for chronic issues. And I love doing the energy work, too. It is truly fascinating how our bodies heal. I really love doing this work and it’s a constant learning process. My pleasure, Herman. From one cat lover to another! Thank you, Akanksah. You too! Thanks so much for Following…nice to meet you…. Thank Nitin! Nice to meet you! Nice photography! That’s way I nominated you for the SUNSHINE AWARD! Because you got me hooked on your amazing blog, I nominated you for The Versatile Blogger Award. For More information check out my page: http://clumsyfool.wordpress.com/2013/05/08/the-versatile-blogger-award/. Interesting “About” for sure! Thank you very much for the follow – I appreciate it & I hope you enjoy. When I get a minute in this busy springtime, I will try to take a look at your online course. Be well! Of course, I’m in. I would love to put up a post on Friday. I was planning on sending Susie healing energy and good thoughts, but would love to join the group. Thanks for letting me know. That’s great, Cathy – thanks! Thanks so much for following me and I’ve enjoyed following you as well. Looking forward to more posts. Have a great day. Thank you for the follow! I’m enjoying your blog very much! That course sounds very interesting, is energy healing good for emotional and mental issues or more for the physical? While the energy healing is focused on the physical, many times it will access the emotional. I teach people how to identify specific areas of the body where the energy is being held and often these have an emotional and mental correlation. So, yes, it is good for both physical and emotional. Thanks, Lisa. The scientific and spiritual have always been part of my life but I finally figured out how to blend them! Works really well. I had a chance to go over and check out your blog. I just got back from a weekend trip and I’m catching up, but I look forward to learning more. I see you have a book published – my next adventure. Did you publish the paperback on Create Space? I did kindle, createspace and nook. Check out my two posts entitled ‘adventures in publishing’ for details (sorry on phone so can’t easily link). Overall, it’s not a bad process and blogging is a great start for the marketing aspect. So happy to have discovered your blog today. I love your photographs (photography has been a passion of mine since I was a kid). And I appreciate your bio. I was introduced to energy healing about 4 years ago, and since then have been exploring it, learning about it, have taken some local classes and am now a Reiki practitioner, level 2. Had a spiritual awakening about 2 1/2 years ago, and am making real progress in my own personal healing, as well as helping my extraordinarily sensitive son. Looking forward to reading more of your blog! You’re so kind! And thank you so much for the follow. Thanks for taking the time to check out the blog and my about page. It’s nice to find fellow travelers on the spiritual path. Energy healing is so amazing and honestly, I think it’s often part of the spiritual path – at least it was for me. I look forward to reading your blog too and learning from you. Thanks so much for becoming a Follower. You have deep and wide experience in the healing arts. I’m happy to have found you too. Happy blogging. Thank you, Sally. And thanks for checking out my blog! Thanks so much for stopping by and for your kind comments. I’m glad you found your way here! And I hope you have a lovely Sunday. Thank you for following Waterdogphotographyblog. Your images are wonderful! Thank you! I love your underwater shots.